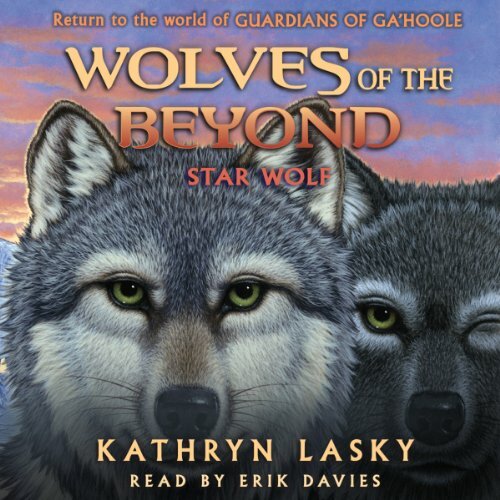 The latest in Kathryn Lasky's hit series - a stunning spin-off set among the wolves of Ga'hoole. A great cold has seized the Beyond. The warmth of summer, the smell of sweet grass, and the great caribou migrations are distant memories. Now the wolves know only ice, dark, snow, and endless cold. The order that kept the wolf clans strong for thousands of years has broken down completely. ©2014 Kathryn Lasky (P)2014 Scholastic Inc.
Amazing book ! Best yet the story is worth it! Buy it for thriles awesome book! I've followed this series. It was the perfect ending. Loved it from start to finish. I love wolves of The beyond!! I love the series of book to death! I think that it has lots of depth and can teach children in this generation to be more closer to the natural environment. And i think that the narration is absolutely amazing it gives each character a personal voice not just one voice but many as if you are really in the book! It has become one of my favorite series of books!